Every August since my kiddos were old enough to help select their classes, we’ve faced an interesting challenge. We would line out our core subjects then order our books and supplies. It always seemed that school was about to begin and we were still undecided about each of our electives. One summer, the kids asked if we could do something a little different. They wanted to create our own electives using their current area of interest. I replied with a bit of trepidation in my voice but agreed to give it a try. In Texas, as in several other states, parents are able to create the standards by which their homeschooled students progress. In other words, the parents set the curriculum, grading rubric, as well as completing the instruction. 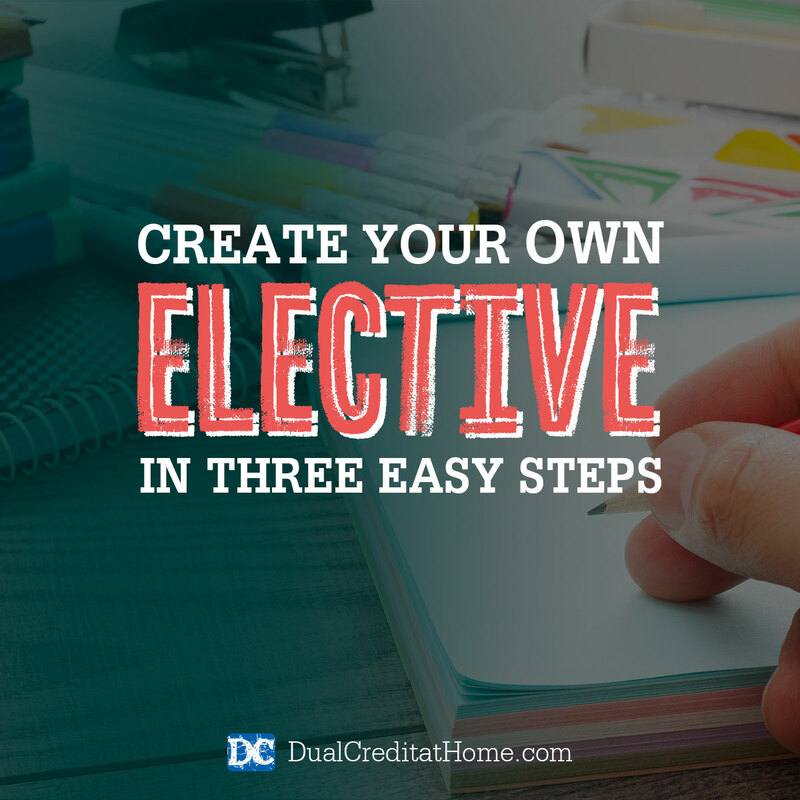 If you homeschool in an area where this is acceptable, here are ways you can create your own elective in 3 simple steps. Choose a fun topic. One of the benefits of homeschooling is the option to tailor your child’s course of study. What do they love? What captures their attention? Do they feel passionate about something in particular? If so, then your topic for an elective has been discovered. If your student has an interest in physical fitness, think along the lines of weight training, personal fitness certifications, food and nutrition, gym management, or physical fitness for children or the elderly. For a student interested in owning a business of their own, money management or product development would be simple to research. Write down your goals and expectations. In order to successfully complete a course, your student has to know what the goals are. Make a list of the key takeaways. If you can only think of 5, then divide the 5 key points by the number of weeks you will be working through the class material. If your class is 20 weeks long, you would have 4 weeks to cover each key point. By breaking down each point into 4 weeks, the unit on the History of Organic Farming could consist of 2 weeks of research, 1 week for discussion or maybe an interview with an organic farmer, and 1 week of essay writing to give an overview of what was learned. Additionally, be certain to include your expectations for daily or weekly time commitments. Determine how you will assign a grade. Testing is sometimes a challenge when creating your own curriculum. If most of the work is research based, how will you know if they have truly mastered the materials? For subjects that are concrete such as money management and nutrition, quizzes are easy to develop through vocabulary and firm details. If the subject matter is more abstract, allow your student to express their knowledge through essays and conversation. Talk through the facts they have discovered and discuss what surprises they encountered along the way. Was there something that stood out to them or encouraged them to want to know more? Be certain to keep a rubric for the class so your student knows what it will take to earn a passing grade. Electives don’t have to be boring or the same old subjects. Don’t be intimidated by the thought of creating your own class. Make clear objectives and enjoy being creative this year…together! You’ll be surprised at the fun things you’ll find.